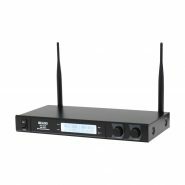 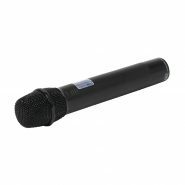 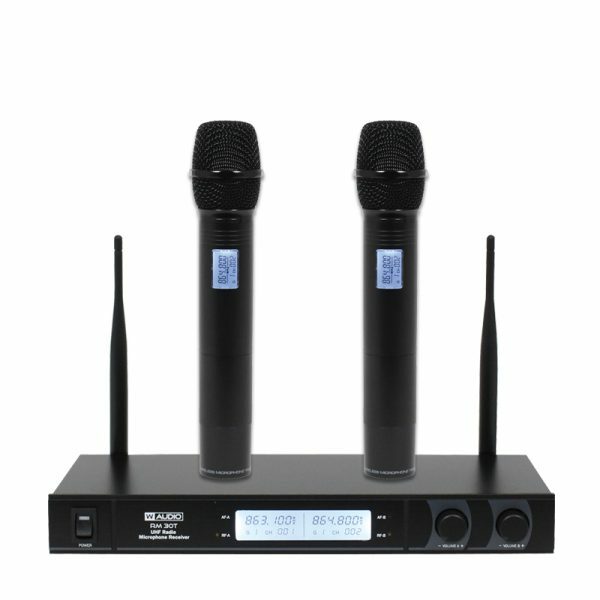 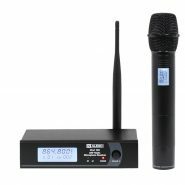 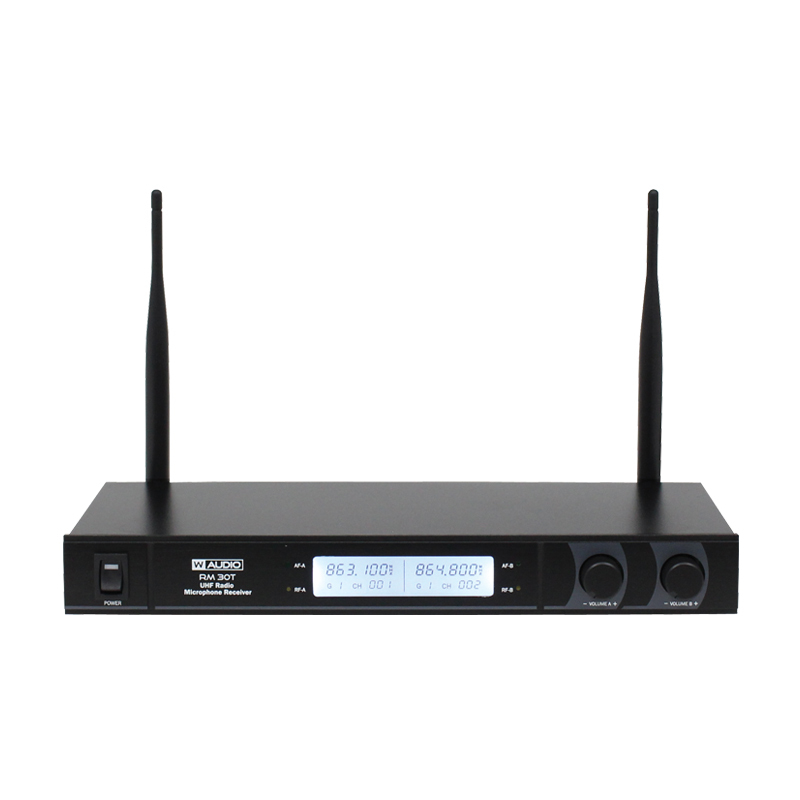 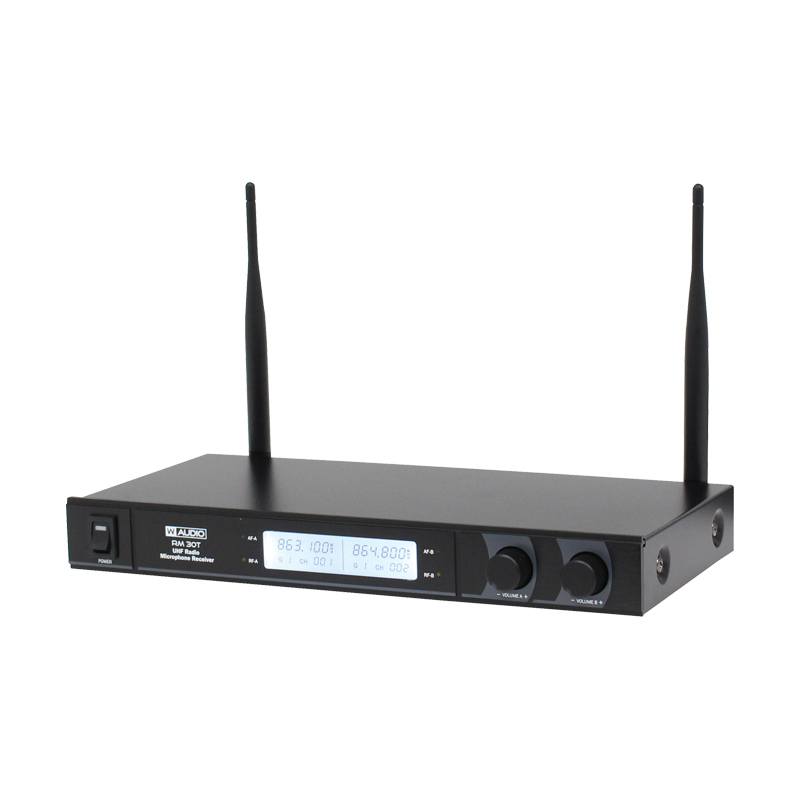 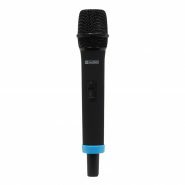 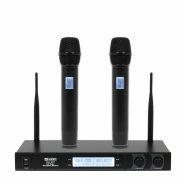 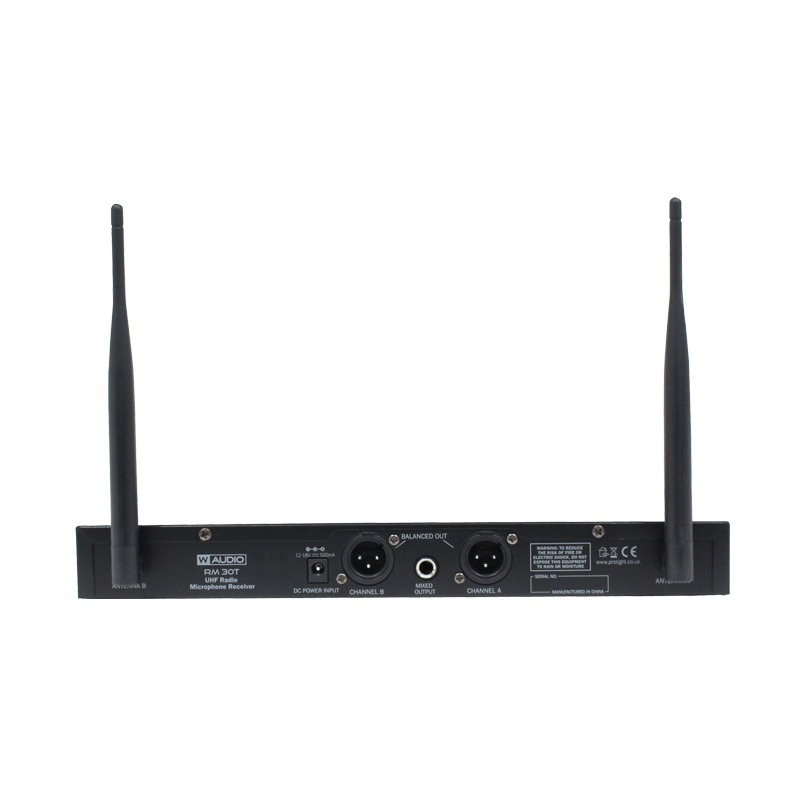 The RM 30 Series of wireless microphones are designed for numerous applications, including vocals and public address. 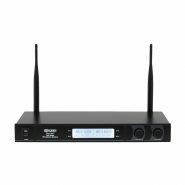 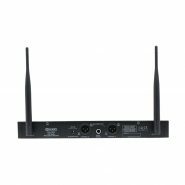 With several handy features they are ideal both on stage or at home. 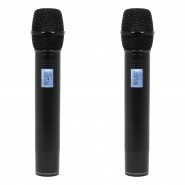 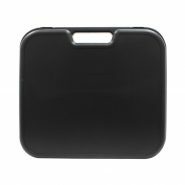 Compact and robust design allows them to withstand the stresses of the road making them perfect for entertainers and amateurs alike. Supplied in a foam lined case. 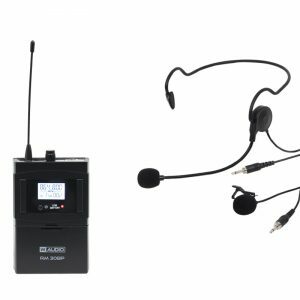 The hand held systems flexibility can be further enhanced by the addition of the RM 30 Belt Pack Kit. 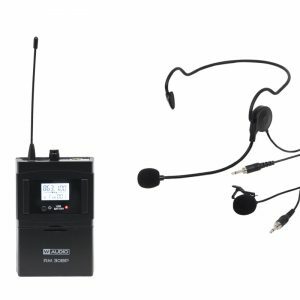 Twin UHF handheld radio microphone system featuring a robust metal receiver and a dual antenna system. 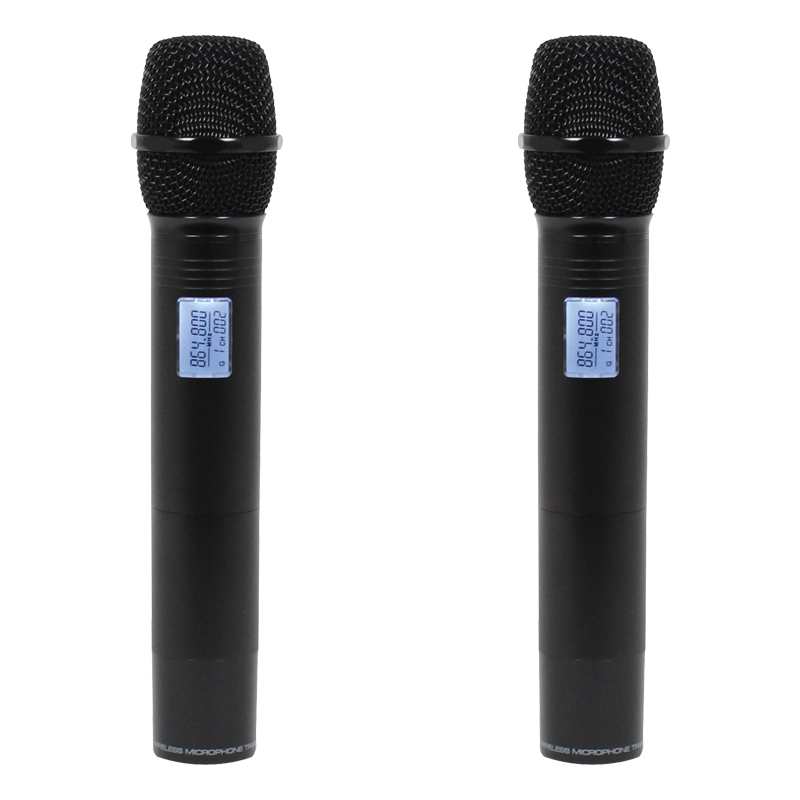 Each mic requires 2 x 1.5V AA batteries (not supplied).